MacBook Pro 15 Case 2018 2017 2016 Release A1990/A1707, i-Blason Smooth Matte Frosted Hard Shell Cover for Apple MacBook Pro 15" inch with Retina Display fits Touch Bar & Touch ID (Frost Black) | Replicafer Co. Friendly Note: Please check the model of your laptop before purchase. 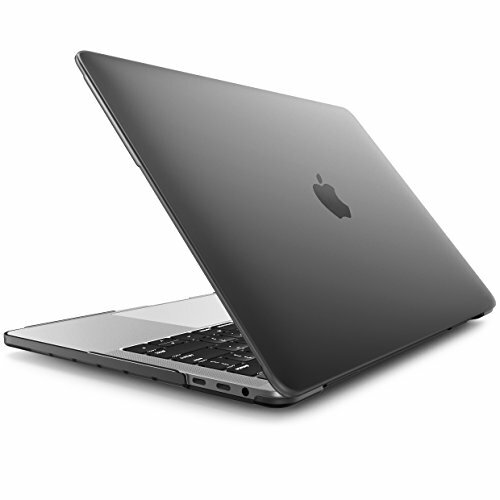 Any Macbook Pro 15'' launched before 2016. WARNING: This case can't fit Macbook Pro 13'' with Retina Display, Macbook White 13'', Macbook Air 13''. If you have any questions about this product by i-Blason, contact us by completing and submitting the form below. If you are looking for a specif part number, please include it with your message.